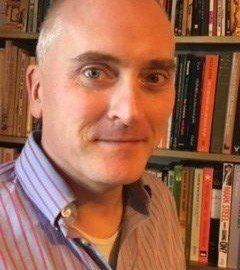 Marc Mulholland is Professor of Modern History at St Catherine’s College, Oxford, where he specialises in the history of socialism and revolution. His first trade book, The Murderer of Warren Street: The True Story of a Nineteenth-century Revolutionary, tells the extraordinary story of Emmanuel Barthelemy, a French revolutionary who went to the gallows for a notorious double murder in London in 1855. To be published by Hutchinson in May 2018.